I think we’ve more than covered dinners and desserts, but I feel like we’ve tragically overlooked the most important meal of the day: snacks. Are you a big snacker? I’m a BIG snacker. I don’t eat big meals, which you may have noticed from my instagram, so I snack a lot during the day. Since I supplement my meals with snacks, I try to make them as nutritious as possible – even when they’re sweet (which my snacks usually are). 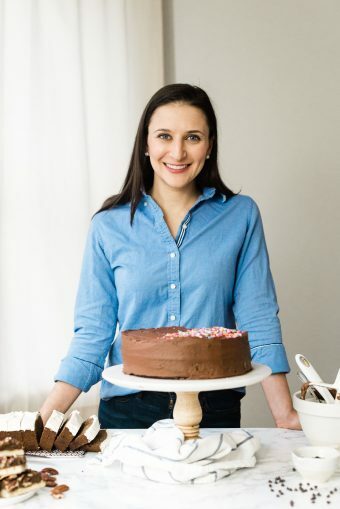 So the next couple of recipes that I have on deck for you are examples of healthy, lightly sweetened snacks to enjoy throughout the day. First, let’s eat cookies in the morning. A low carb, nutrient-packed cookie, though, that will not send you on a sugar spiral before lunch. Because that’s when I like to eat a cookie – around midmorning. Forget the 3pm cookie binge. Just have one (good one) in the morning and that way, you won’t be sugar-deprived by mid-afternoon and eat 437 Reese’s PB cups. The other indispensable element of my day is tea. I drink tea throughout the day, ostensibly to stay hydrated but the truth is that I am literally freezing for 6-8 months out of the year and a constant intake of steaming beverages is really the only hope I have of reducing the ferocity of my shivering to levels that allow me to, you know, brush my teeth and type non-gibberish. Hearty, I am not. In the mornings, I like to pair my snack with black tea, which has the most caffeine of any of the varieties of tea, but far, far less than coffee. 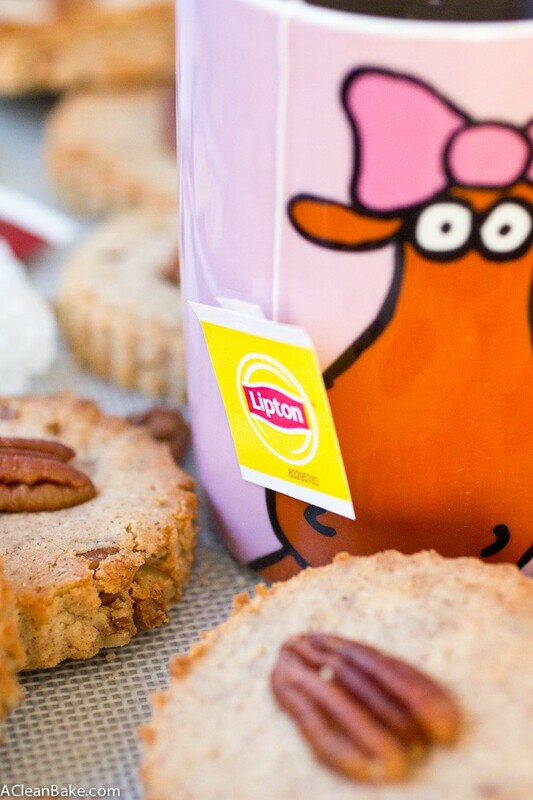 I love classic flavors in the morning, and lately have been starting my day with Lipton‘s English Breakfast tea. Lipton just came out with a new line of black and herbal teas, and has updated their line of green teas, so there are tons to choose from (and in the next 2 posts, I’ll pair one from each of the other two lines with a snack!). The new lines feature bold and stimulating flavors like Enticing Chai, Pure Green, Orange Passionfruit Jasmine and Peach Mango. You can check out the full line-up of Lipton Green, Black and Herbal tea flavors here. Besides the little boost of caffeine in the morning, black tea contains antioxidants (which have been linked to cancer prevention) and some research has suggested that, along with green tea, it can reduce the risk of stroke. 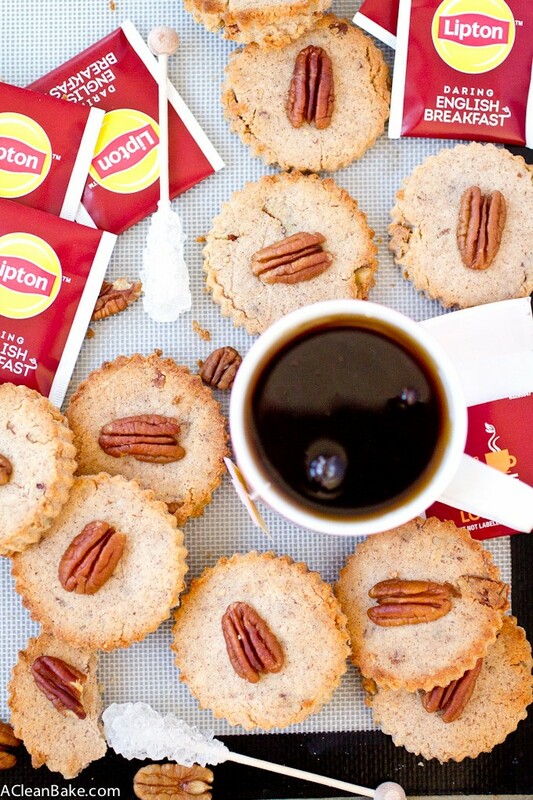 But most of all, it’s warm and comforting, and the bold aromas and unique flavors of Lipton English Breakfast pair perfectly with this nutty, slightly sweet, warmly-spiced shortbread. 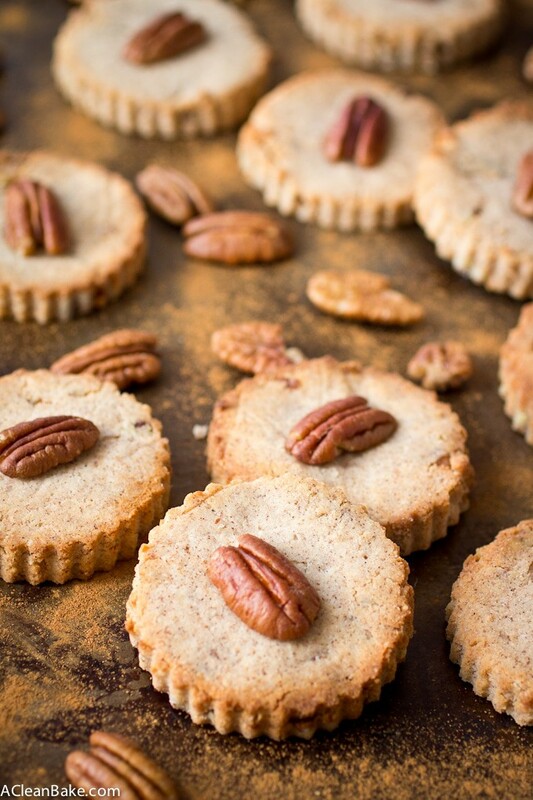 Cinnamon Pecan Shortbread - a grain free, low carb and lightly sweetened morning snack! Plus, it takes just 10 minutes hands on time to whip up! If you can't tolerate dairy, omit the butter and substitute an equal amount of coconut oil. The cookies may need a minute or two less baking time, and will have a slightly coconutty flavor. I LOVE me some shortbread cookies! 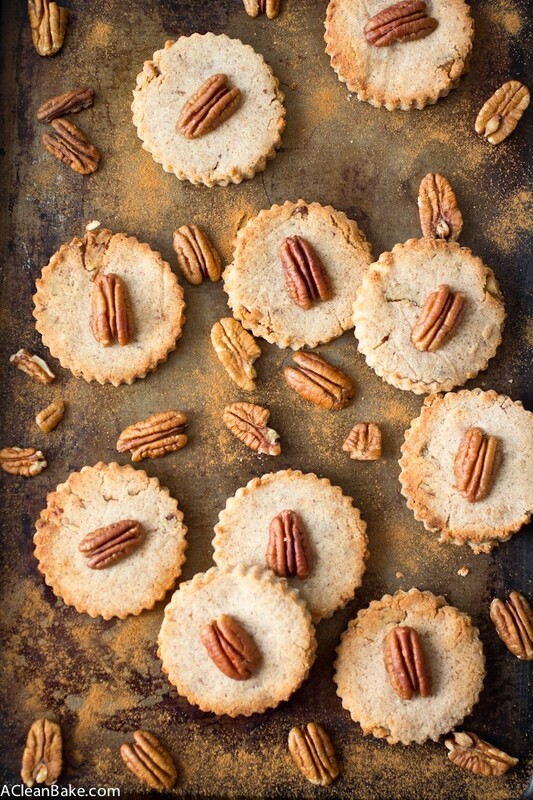 This version with the pecans is making my mouth drool! I’m glad, Bethany!! They’re pretty darn good! These look delicious! 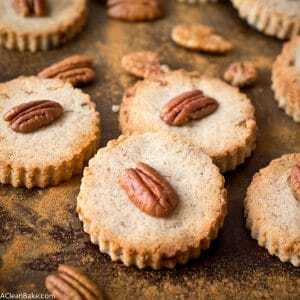 I loved Pecan Sandies as a kid, and these seem a lot like that, but certainly more waistline friendly, haha. I really want some shortbread to dunk in my cup of tea right now, these look TOO good. They look literally melt in mouth! I just made these and they are very good. I lightly toasted the chopped pecans that are mixed into the batter and I also sprinkled organic sugar on top of each cookie. They are not very sweet and I wanted a tiny bit more sweet so the sugar sprinkle helped. Thank you for a wonderful recipe, I love the cinnamon.